Hard work refers to a great deal of effort and endurance put into daily practice. The thriving Nigerian youth population endure this practices daily such as going to offices, waking early to beat the traffic, street vending, hawking along many streets across the country among many of such practices. 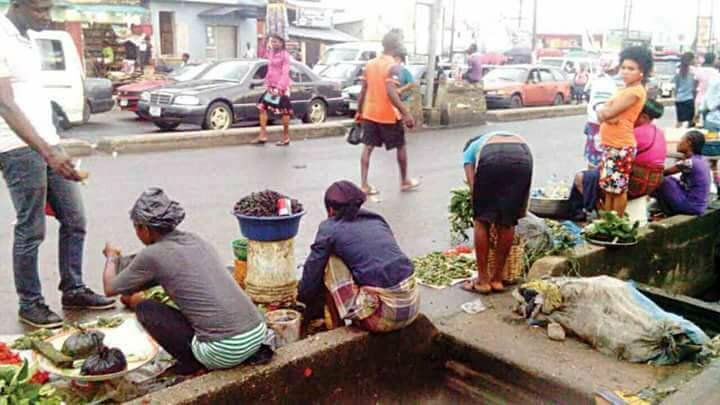 Street vending and hawking have put some school-age children out of school as they labour daily to support their families trying to make ends meet, while majority combine schooling and hawking daily. Researchers from the global south call it informal sector activities but the Nigerians see it as means of survival. Low-income earners are forced to take informal jobs that are not as per with the standards of living in an ideal environment. This affirms that the poor know how to live in poverty. Learn more http://dx.doi.org/10.1080/14649357.2013.866266. Hard labour, on the other hand, is a heavy physical labour which people have to do as punishment for crimes committed. In Nigeria, hard labour does not necessarily mean punishment but a means of survival. Many construction works are carried out using manual labour that translates to hard labour. Many youths are informally engaged in hard labour as a result of high level of inequality and poor employment opportunities. Unemployment rate according to National Bureau of Statistics (NBS) 2017 puts youth unemployment rate at 19%. It has been noted that Nigerian youth are eager to make a profitable living thus, engaging in various skills . Given an enabling environment, the effort put into illegal activities to earn a living can be transformed into positive innovation. Learn more https://urbanplanes.com/competitiveness-knowledge-growth/. However, government’s inability to provide functional environment limits the capabilities and skills of many youths. 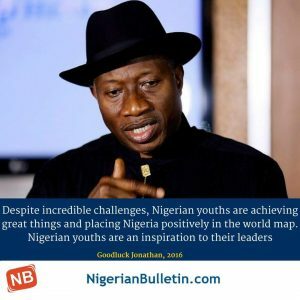 The President of Nigeria Muhammed Buhari recently made a statement that triggered several responses from the Nigerian youths. In his statement at the Commonwealth Business meeting in Westminster, Mr President stated that “60 % of the Nigerian population is below the age of 30 and are not in school, and are claiming that Nigeria has been an oil producing country and therefore they sit and do nothing and wants to get housing, health care and education for free”. Contrary to this opinion, a major population of the increasing youth takes to informal activities, working hard under the daily scorching sun and trying super hard to meet ends meet. This is as a result of the failure of government and the lack of political will to implement decisions that reflect the needs of the citizens. lack of visionary leaders that can enhance quality decisions that affect the lives of the people. Active youth involvement in political matters and decision making is necessary to determine the future of Nigeria. Good and proper education that address current national and global issues. There is a need to vote for credible leaders devoid of sentiments irrespective of the diversity. Through inclusive visions that address equity and justice. By making long-term plans that address the actual needs of people. Your observations are genuinely expressed. Next time Nigerian youths must be wary of the kind of leaders we vote into public offices. On the other hand taking an eagle eyes view over our cities reflects the true character of our nation and her citizens vibrant lifestyle. I strongly agree with you on the way forward.